We joined the Shark Side! 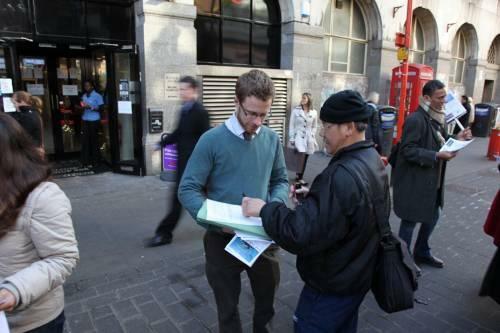 Initially the idea of making a stand in China Town went down like a proposal for a pay toilet in a diarrhoea ward. 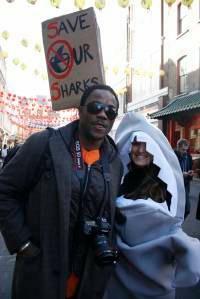 When the photographer Alex Hofford first contacted EcoHustler and asked if we would write about shark finning drawing on the images and video from his Man and Shark project we had no idea where it would all lead. I certainly didn’t think we would end up organizing an event in China Town on Chinese New Year! I am not sure how it happened but after a great day raising awareness about sharks I am very glad Alex got in touch and that we all decided to go a step further and take action! 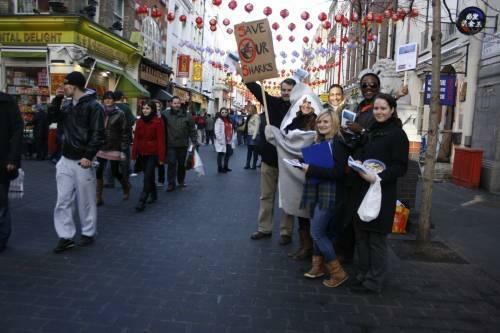 Massive thanks to everyone who came down and joined the Shark Side and big props to Global Ocean who are collecting signatures for their important petition. 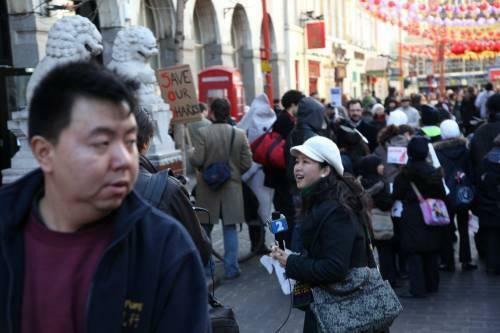 Initially the idea of making a stand in China Town went down like a proposal for a pay toilet in a diarrhoea ward. 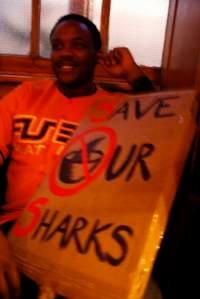 Several UK shark organizations we contacted actually told us not to do it. Apparently we were being politically incorrect and culturally insensitive. 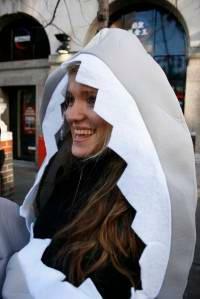 The trouble is, eating shark fin is a cultural phenomenon so you have two choices: be politically correct and look the other way or strap a pair on and have a conversation with the people who like to eat it. 90% of all the sharks that were in the oceans have been removed… so we decided it was a conversation worth having. 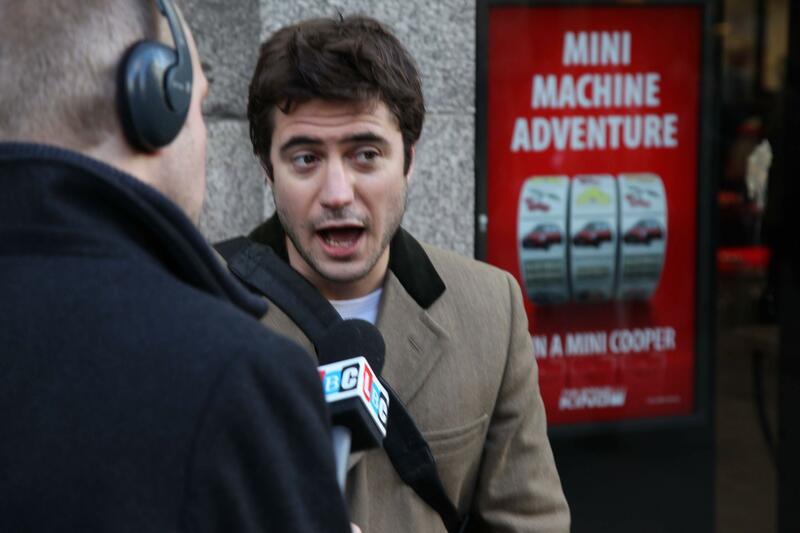 We advertised the direct action publicly on this site. After the Mark Kennedy scandal I joked with friends that the first few emails I received from people wanting to join in would be policemen. It wasn’t a massive surprise therefore when I got to the allocated meeting place to be immediately jumped upon by two undercover police officers. Initially they were confrontational and almost threatening. Pretty soon they seemed to realize that we didn’t want to cause trouble and they became polite and asked us to move up the road which we did. Unfortunately it wasn’t until a bit later that I realized the police offers were skillfully keeping us away from the Chinese Ambassador and all the press. When we walked back up to the throng I was grabbed and actually read my rights. I am fairly sure that I wasn’t breaking any laws but apparently you need a permit to speak your mind in public… or something. 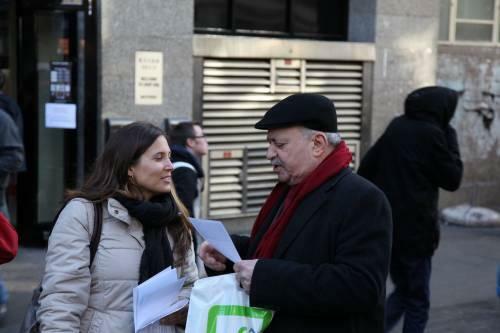 Once the ambassador had gone we fanned out and handed out hundreds of flyers. These are available for download here: 110201_GO_Leaflet_A5_02. We also have hard copies available. If you would like to use some drop us an email and we can post you a good stash. 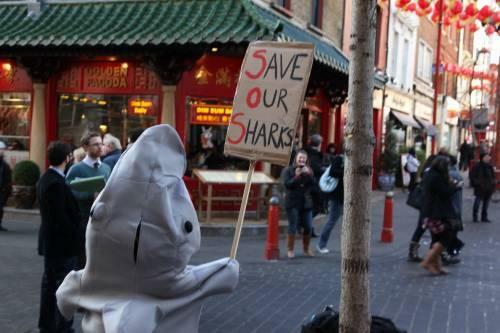 Definitely the hottest shark in China Town!